Founded in 1996, Grage Group is a leading Indonesian property developer with specialised expertise in the country’s fast-growing secondary cities. With a project portfolio comprised of strategically located real estate in Bengkulu, Kuningan, Yogyakarta, Malang as well as developments in Jakarta; the company is anchored in the port city of Cirebon – its commercial stronghold and longstanding area of focus. Embracing a corporate culture closely influenced by the Indonesian spirit and an in-depth understanding of the Indonesian lifestyle as well as property market, Grage Group stands at the forefront of modern living and convenience implemented within both commercial and residential real estate. Grage Group – as a multi-skilled developer for landed property, high-rise buildings, shopping malls, and hospitals – is at the heart of innovation as evident in its prime positioned properties offering easy accessibility and comfort for individuals in the suburbs as well as cities. As a response to the domestic market’s demand for added value in property ownership, the company draws upon unsurpassed home design in addition to meeting high-quality service standards for its real estate ventures. Standing at the forefront of Indonesia’s highly lucrative property sector, Grage Group actively engages in international partnerships for technology transfer which has thus seen the company earn the longstanding trust of numerous prominent local and international companies. Grage Group’s investment in its human resources is in keeping with its corporate mission of delivering the best and as such has seen the company develop upon its wide-ranging set of skills. Grage Group’s latest project, the Rumah Sakit Ibu dan Anak (RSIA) Grage City hospital, demonstrates the company’s capabilities whereby residents of the company’s landmark township development, Grage City, are provided with a modern health services centre. Having garnered two decades of expertise, Grage Group has the foundations in place to expand its property portfolio and work closely with partners to establish iconic projects across Indonesia. AKR Land Development is an Indonesian property developer focusing on the upper segment of the property market. The company’s portfolio has included office and commercial buildings, mixed-use developments, township developments, condominium hotels and resorts. AKR Land Development is part of AKR Group. Arion Paramita Group is a well-established diversified group of companies in Indonesia involved in sectors such as property, hospitality, transportation and tourism. Farpoint Realty Indonesia is a leading property development company involved in the residential, office and hospitality segments. Goldland Group is a well-established property developer in the residential and commercial segment. The group’s real estate projects are mainly located in West Jakarta and Tangerang. PT Metropolitan Land Tbk is one of the leading property developers in Indonesia being involved in various commercial and residential projects. The publicly traded company is a subsidiary of the Metropolitan Group. In addition to residential projects ranging from the middle low to the middle up market range, Metropolitan Land also develops hotels and malls. Mutiara Masyhur Sejahtera is a leading real estate developer in Indonesia which currently owns the high-end Kahuripan Nirwana residential area based in Sidoarjo. Paramount Land is involved in the property and lifestyle business as well as numerous residential real estate projects. Agung Podomoro Land Tbk is a leading property developer in Indonesia with an extensive portfolio of completed projects encompassing residential real estate, office towers, apartment buildings, hotels and shopping malls. 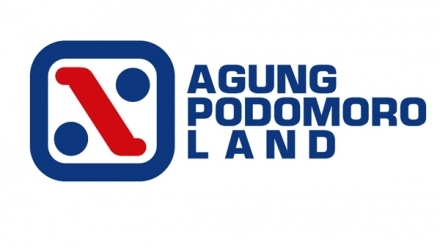 Agung Podomoro Land is a parent company to 36 subsidiaries and a further 10 entities through indirect ownership. 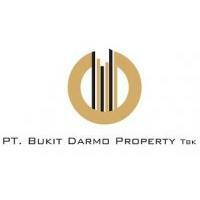 Bukit Darmo Property Tbk is an Indonesian property development and management company based in Surabaya, East Java. Many of the company's projects are located in the Bukit Darmo area in Surabaya, including the Melia Adhiwangsa Hotel, the Lenmarc Mall and the Nine Boulevard office tower. Bukit Darmo has been a publicly traded company since 2007; PT Adhibalaraja is the company's controlling shareholder.